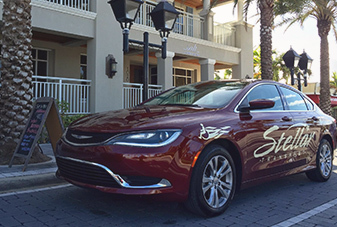 Our fleet includes many different vehicles for different situations. All of our vehicles are 2012 or newer. Every van is fully equipped and fully loaded, so that your ride is smooth and comfortable. 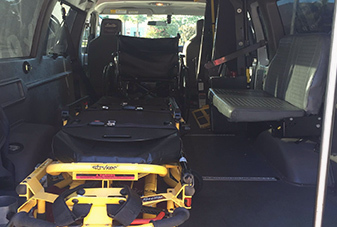 We have minivans, full-size vans, and specialized, stretcher transport “mini-ambulance” vans. We have a van that can accommodate a stretcher and a wheelchair together. Family members are welcome to come along for the ride as well. We even have a vehicle equipped to transport bariatric patients, up to 500 pounds. 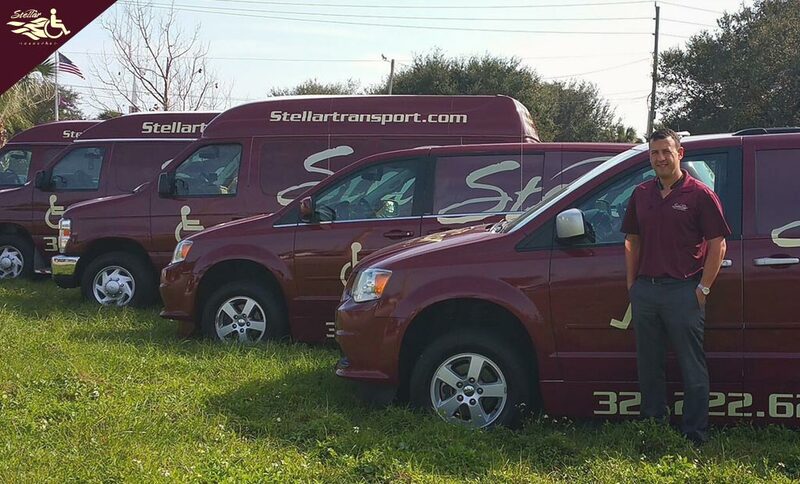 All Stellar Transport vehicles are fully loaded and equipped with wheelchair accessibility and safety, and inspected for safe operations and cleanliness daily. Routine maintenance and servicing ensures all our vehicles are always up to par. 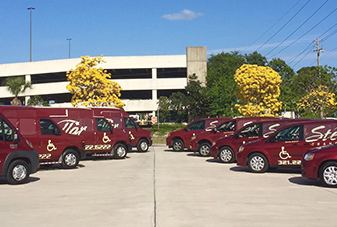 Every vehicle in our fleet is disinfected after each use, and professionally cleaned and detailed every week. Our standards are high because we care about our clients. Our passengers are family, someone’s mother, father, brother, sister. We would want our family members in a clean, comfortable vehicle. That’s why we do what we do. Our vehicles are meticulously serviced and maintained so that your ride is smooth, safe and enjoyable. We have state-of-the-art GPS tracking installed in each vehicle to monitor speed, acceleration and braking, and all of our drivers are spot-checked several times a week for safe, comfortable driving. We keep a wide variety of music on hand in each vehicle, to make your ride more enjoyable. We have 50’s, 60’s, and 70’s collections, from the Beatles to Frankie Valli to Elvis. Your driver is also your D.J. We’re happy to play your favorite tunes so you can enjoy your ride. We have different vehicles for different situations. 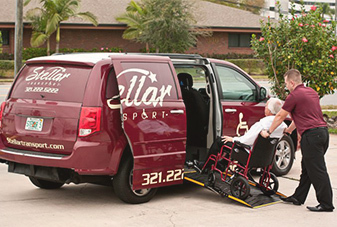 We have minivans for wheelchair transportation, full-size vans for stretcher transportation, and specialty vans for transporting couples or families. Want to ride with your loved ones? No problem! Whatever your transportation needs, Stellar’s got you covered.